Control, shoot, score. 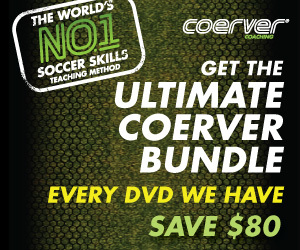 Fine tune your first touch and finish with a flourish, by practising this drill from Coerver Coaching. Stay calm in the goal box and don't try to over hit the soccer ball, just make sure to force the keeper to make a save - keep the ball low and on target. There's no need to smash the ball, sometimes all you have to do is pass the ball past the goalie. Weigh your first touch right to score more goals thanks to this drill from Premier League academy coach Saul Isaksson-Hurst. All the best strikers in the world have the ability to control the soccer ball and finish in an instant. 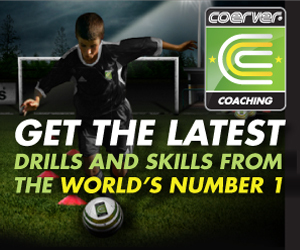 For more technical advice visit Coerver Coaching. Extra: Arsenal and France legend Henry explains the art of scoring while sprinting. Stoke City under-15s demonstrated the football training drills.